Queenstown - Stormers centre Juan de Jongh says playing a leadership role in the team has helped him mature as a rugby player, on and off the field. The past year has been an exciting chapter in De Jongh’s career. He was given the captaincy ahead of Western Province’s 2014 Currie Cup, taking charge of a young squad. He excelled as a performer and a leader, making a valuable contribution to the Cape side’s charge to the domestic crown. 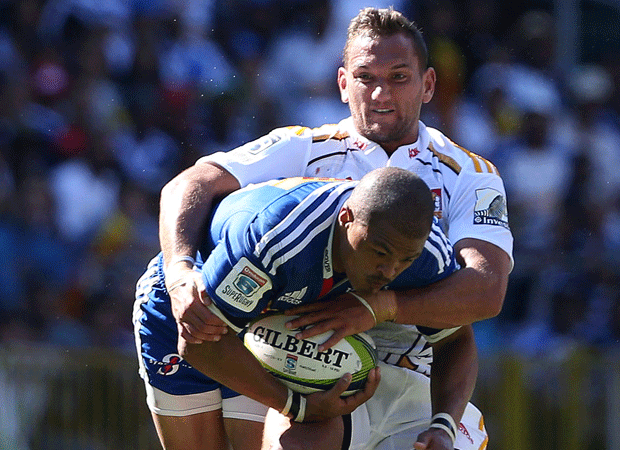 This saw him named vice-captain for the Stormers’ 2015 Super Rugby season. And with usual skipper Duane Vermeulen set to be rested for the team’s next fixture against the Highlanders in Dunedin this Saturday, De Jongh will captain his first Super Rugby game, which he’s excited about. “As a rugby player and a person, taking on a leadership position has helped me mature a lot,” De Jongh told MyPlayers.co.za. “I understand that this role comes with a lot of responsibility, and I enjoy the challenge. “It’s been easier to adapt thanks to the support of the other leaders in the squad. It’s important that I have the support of the guys around. The Stormers have impressed during the opening rounds of Super Rugby, winning four of their five fixtures to lead the South African conference and feature among the top three in the overall standings. On tour, the Stormers will also face the Hurricanes (April 3), Waratahs (April 11) and Western Force (April 18). De Jongh believes the team can continue their fine form if they remain focused. ”For most of the younger guys, it will be their first time travelling to Australasia. It’s important to adapt to the time difference, which isn’t always easy. So it’s important we step up.